My sister Iris's son Tom loves everything to do with outer space, rockets and spaceships. It was Tom's Bar Mitzvah a few weeks ago and Tom and his parents had decided that they would like to celebrate Tom's coming of age with an outer space party. 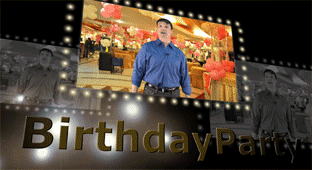 The party was to be held at a local banquet hall. The children from Tom's class were to be picked up by coach and taken to the venue. The whole set up was quite amazing. As I went in, the first thing that caught my eye was the silver tablecloths on each table, and at the centre of each was a large silver candle. Silver streamers, balloons and white fairy lights decorated the walls, and glow in the dark stars and planets hung from the ceiling on fishing line. The whole ceiling was in fact completely full with black helium balloons which created the illusion of being in space. Tom had hired an astronaut fancy dress costume and greeted his guests proudly wearing it. He was grinning from ear to ear and his Dad Roy was already taking pictures of Tom and his friends laughing and joking. We have a number of younger children in our family and to keep these youngsters occupied and happy, Iris had set up as craft table and put one of the older cousins in charge of it. The table had things like, glue, pipe cleaners, markers, scissors and styrofoam shapes. The kids were encouraged to build alien creatures, strange UFO's and rockets. After the Aliea La Tora ceremony we watched a home video of Tom and his father launching a home made rocket they had built together. Tom's grandpa performed the Hamotze and we were served a delicious dinner with a choice of roast beef or grilled salmon with dill sauce. After dinner Tom made a lovely speech in which he especially thanked his Mum and Dad for making the day so special for him. Iris was clearly very moved by his words and she kissed him lightly on the head when he returned to the table. After the speech Tom opened his present from his parents. His face lit up as he ripped back the wrapping to find a kit to build another homemade rocket. This was a much more sophisticated model for an older child. He was overjoyed. The candle lighting ceremony followed. The thirteen candles were lit by 13 people who had been chosen ahead of time. My husband Joseph was one of those chosen and I took a few pictures of the event. After the food and ceremony we all enjoyed getting up for a dance as the band took to the stage. They played a great selection of old and new stuff, so there was something to please every taste. Iris distributed party bags to all the children which contained goodies like plastic gliders, glow in the dark stickers, glowing chemical sticks and jewellery. Suddenly Tom's Uncle Ron took the microphone and kindly asked everyone to step outside. Much to the surprise of all the guests and kids, but particularly Tom, Roy and Ron had secretly set up a fireworks display. Everyone cheered and hollered as the fireworks lit up the night sky. It was a delightful and fitting finale to a great evening and I really don't think I have ever seen a boy so excited about his Bar Mitzvah.